Gain high-visibility, brand recognition, and make an impression with customized, logo-imprinted garments and accessories. 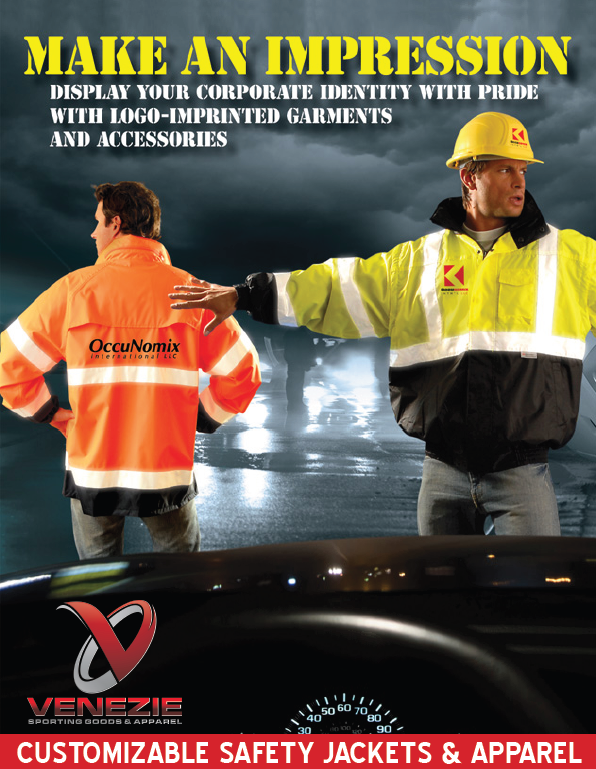 We’ve teamed with OccuNomix, a leading global designer and manufacturer of personal safety equipment, to now offer our customers corporate identifying safety apparel. *Occulux high visibility safety vests, coats, pants and T-shirts meet ANSI 107-2010 and are available in a variety of sizes – all customizable with logo and name imprinting. *Providing innovation in ergonomic supports and prevention products, our valued partner OccuNomix has a broad selection of items perfect for the workplace – great for hobbies and used by people like you worldwide. Safety apparel is available in small quantities for individuals/small businesses or in large quantities for safety companies, government entities, and street departments.